Now that my body is healed (healing) I have decided to do another competition. August 13, 2011. I know it is a mere 12.5 weeks away, but I am totally excited and ready to get back to it. So I have been on a mission these last couple of days to come up with some simple ways to add variety to my selection of carbs. This gets tricky when you think no flour, no sugar, very little oil- but I think I found something that is gonna work. I made sweet potato pancakes. I call it a success when my very very picky son would eat them. So I thought I would share the recipe. Be on the look-out for more sharing, I’m sure I will be tired of these in about 3 weeks and need something new. 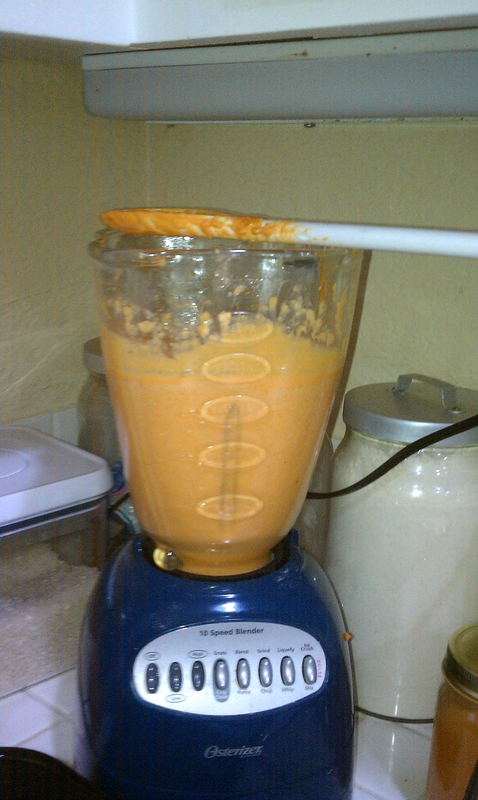 Blend the oats in blender till fine powder, add all other ingredients and blend till a smooth consistency. Cook till brown on both sides. Yumm! cakes. If batter is a little thick you may want to level to an even thickness, (this way they cook evenly). Cook till brown on both sides. These were great alone, but they were even better with a little dusting of stevia and cinnamon. It was like a treat and no guilt. 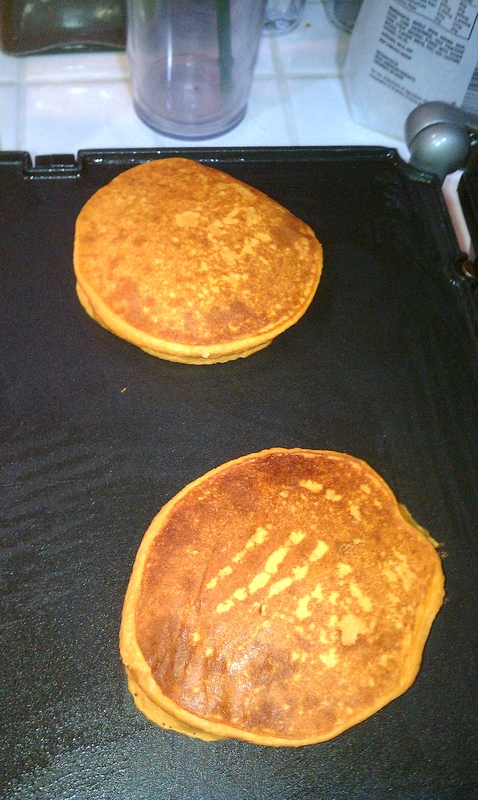 I love makign sweet potatoe pancakes in prep! So easy and tasty, but on plan! you should post this on the PP facebook wall. would be a great compliment to your PP ab workout! these look super yummy. I also make quinoa on the days I am allowed carbs…great change to oats and brown rice and you can make it into oatmeal (I.e add your stevia and cinnamon etc)! I could see myself makign these even after comp prep…so far I ahve not been allowed any eggs…. sigh….pancakes will have to wait! I would be a very sad girl without my eggs! I can give up all the carbs and probably will again soon. Back to chicken/fish and green veggies! I like this one much less carbs I will have to try this next time.